Tanks didn’t roll into Wukan. Relief? Yes. Comfort? Hardly, given countless precedents that inject nothing but dread, and the fact that the government is still lying and mis-presenting nearly every aspect of the event, down to the location where the village representative and the provincial deputy party secretary met. 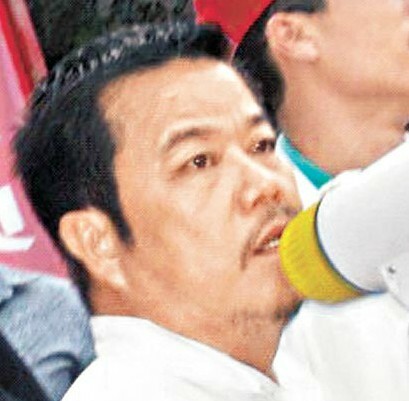 In Haimen the latest words are that the government conceded to the people’s demand after days of confrontation. This week, a great many Chinese mourned the death of Václav Havel, former president of Czech and a symbol of the communist collapse in Europe in 1989. Then the country had a field day celebrating the death of Kim Jong Il with the exception of the Party and its Foreign Ministry and CCTV. It is one of those moments when you get a full view of the split between the party and the people. Click on date below item for link to the original. MR张建兴/ Zhang Jianxing/(a young Wukan villager, cameraman of the protests)/: (an excerpt from a long post) In the edited video, you can’t see him but you hear him: “Have you had your breakfast yet?” No, I said. “What? No?” That was Xue Jinbo (薛锦波) talking during an all-village meeting. I was behind the camera, and he walked over to me and talked. That morning I got up at 8 to prepare for the meeting due at 9 o’clock. I was in such a hurry that I forgot all about breakfast. He bought several meat buns for me, urging me to remember to eat them. After recording for a long while, I still hadn’t touched them. That’s why he came over. I don’t know if his voice will ever appear again. Perhaps in my dreams. Xue Jinbo, one of the organizers of Wukan protests, died two days after police snatched him away on December 9 when he was having lunch with two friends in the village. You [referring to the villagers] get yourselves a few reporters to make a scene. The more the media exaggerate, the happier you are. You think, ‘Oops, he’s in trouble, his boss is going to fire him.’ What good does that do you if I am removed? Another party secretary won’t necessarily be any better than I am. 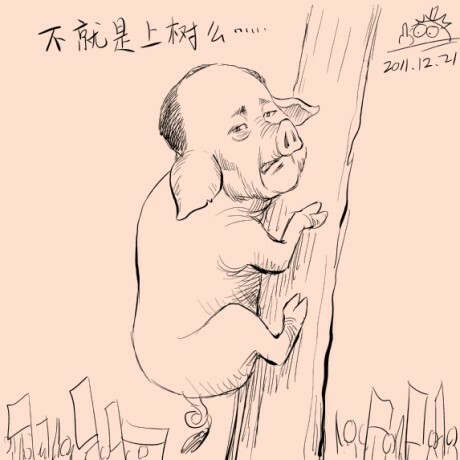 If you believe in what the foreign media says, sows will be climbing trees (pigs will fly). Stop making trouble, stop breaking the law, make the government feel you are reasonable, and then I won’t need to get the armed police. Do you think it’s free to have the armed police here? With several hundred good armed police and police staying here, the mayor’s wallet is getting leaner and leaner. Nowadays, there is a group of people for whom life is getting harder every year. Who are they? The officials, including myself. It is so much more difficult to be a municipal party secretary these days than before. I have to take care of everything. By the day, [I] have less and less power, fewer and fewer means, and more and more responsibilities. By the day, people are smarter and smarter, harder and harder to please and to manage. You would not count on such a responsible government; instead, you count on garbage media, garbage newspapers and garbage websites overseas! You are turning good and bad upside down! What can they do for you? Nothing! All they want is for you to fight with each other, to be in turmoil, then they will be happy. tengbiao滕彪/Teng Biao/(rights lawyer)/: Because of the Haimen Huaneng Power Plant, controlled by the family of Li Peng (李鹏, former Prime Minister of China), the fishing business, which is the livelihood of nearly 200,000 Haimen residents, has been sustaining substantial damage since 2006. The plant’s waste water and sulfur dioxide pollute the ocean, the heavy metal content of fish and shrimp harvested from the coastal water far exceeds the standards, the rate of unnatural death among Haimen residents is No. 1 in Guangdong Province in recent years. People have been leaving their hometown as a result. @bridgeduan /The biggest fallacy the netizens have is this: “Why can’t they at least punish a few village officials to just pacify the villagers?” Such a question indicates that they have little understanding of the foundation of the entire regime. It is not built on the hearts and minds of the people, nor does it depend on them. The stability of the regime depends on the loyalty of the bureaucracy from top to bottom. To punish those on the frontline will damage the centripetal force of the bureaucratic group, and that is more dangerous than anything else. 哎哟我的天817 /Oh My God 817/ai yo wo de tian/(netizen)/: My boss is on a business trip in North Korea right now. He just told me over the phone that foreigners who did not cry were not allowed to board the train, and just a moment ago, a crowd of foreigners were huffed off the train because they didn’t cry. My boss and his deputy, two proud grown men, had to fake heart-breaking wailing like others did to get on the train….WTF….I am so sorry, Boss, for your suffering. Finally, I would like to share with you the coolest slogan of the year from Weibo, and wish you Merry Christmas and a Happy New Year. “If you give us 1989 (Tian’anmen Square crackdown), we will give you 2012 (apocalyptic disaster movie)! By T in Uncategorized on December 25, 2011 . I saw that two accounts have been suspended, one of them being 哎哟我的天817, in response to the original posts about forced wailing for foreigners in North Korea because they were said to have made exaggerated claims. This seems to be in line with Beijing’s recent internet control directives. It’s going to require a whole lot of people to implement, that’s for sure. Oh I didn’t know that. My weibo account has been blocked, and I found the item on twitter where someone tweeted it. Didn’t know WSJ had a translation either. My six-grader daughter had a good laugh–perhaps I can start from here to explain to her what is totalitarianism. It’s me, NiubiCowboy. On a new device and forgot to put my name in.